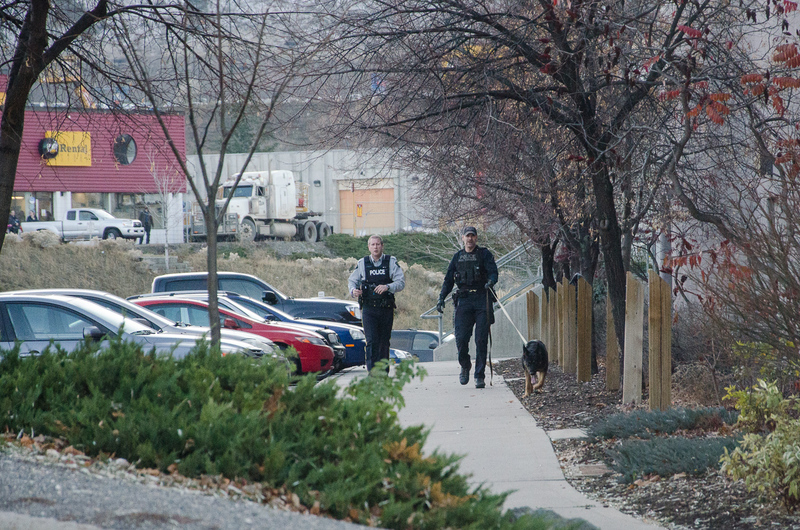 TRU’s emergency plan faced a serious test when a bomb threat was called in close to campus. Kamloops RCMP quickly evacuated and cordoned off the Tournament Capital Centre (TCC) on the afternoon of Nov. 19 after the threat was received. The B.C. Centre for Open Learning was also evacuated. The threat was received at 2:30 p.m. but TRU Alerts, the university’s email and text message emergency information system, did not provide information about the threat until 3:47 p.m.
“While we are happy with the movement of people and the communications once we had good information, we’re going to strive to have better information faster in the future,” said TRU VP of Advancement Christopher Seguin. According to Seguin, the university was waiting for confirmed information from the RCMP before it broadcast anything. According to Const. 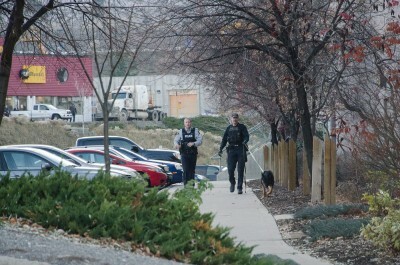 Epp of the Kamloops RCMP, no explosives or suspicious packages were found. Messages on the homepage of TRU’s website were also used throughout the alert to spread information. Information was also distributed by the TRU newsroom Twitter account. The account sent out its first tweet about the bomb threat at 3:07 p.m. According to TRU Marketing and Communications Director Diana Skoglund, the account was primarily used to correct misinformation being spread through other sources on Twitter. A few professors with classes as far away from the threatened area as the Arts and Education and International buildings cleared their classrooms after hearing about the threat. According to Seguin, this response was not part of the emergency plan, but the professors acting individually. 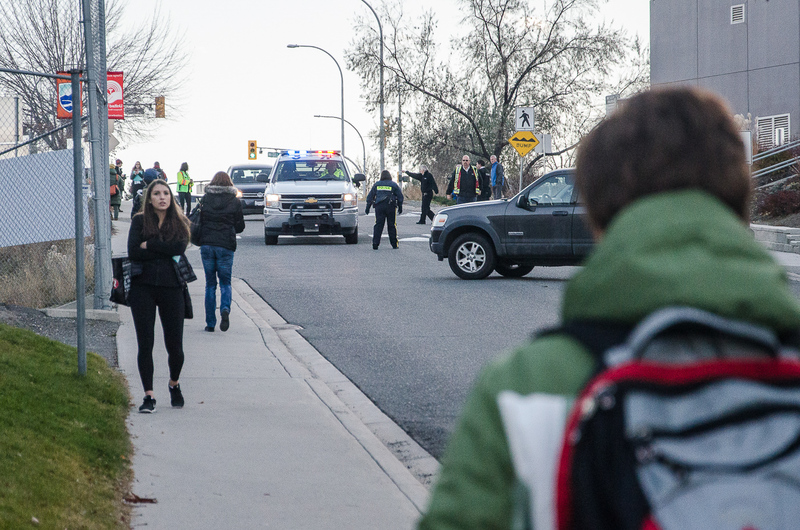 Journalism professor Shawn Thompson encouraged students in his photojournalism class to photograph the police response to the bomb threat while it was underway. At least ten of his students were taking photos from across the street at the TCC. The scholarship and awards ceremony proceeded as scheduled in the Old Gym, across the street from Open Learning as the RCMP declared it safe, Seguin said.